Even if you're not a Patrick O'Brian fan (what? are you stupid?) this book has a lot to offer a naval re-enactor. 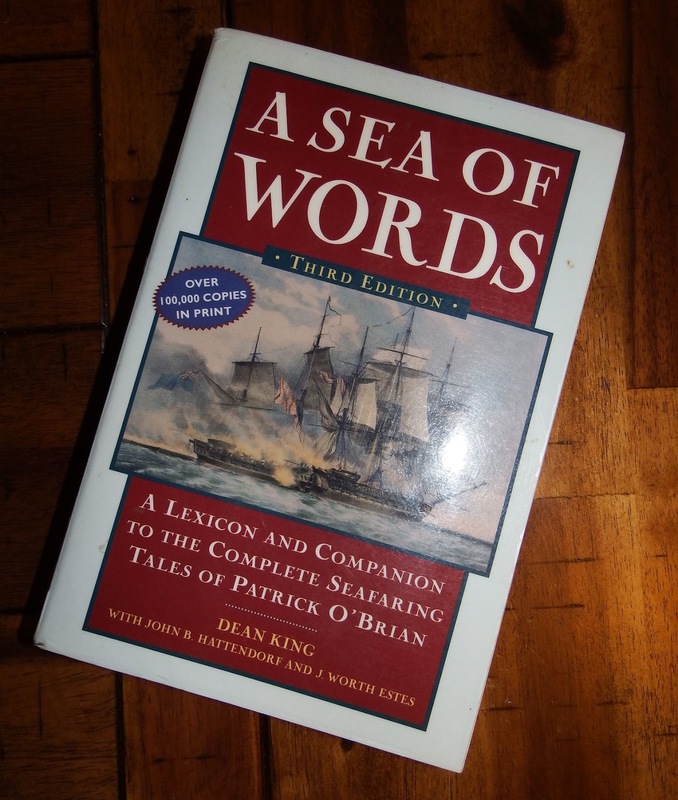 The first chapter is about 30 pages with a great overview of the Royal Navy during the Napoleonic period. The second chapter deals with naval medicine of the same period. This is then followed by a series of maps and line drawings illustrating different of ships of the period. The actual meat of the book is a listing of terms, things, names, people and places that an O'Brian reader might not know or find confusing. Many of the terms are definitions of various plants, animals and medical conditions and procedures related to Stephen Maturin's pursuits in the novels. While this may not be of much use from a re-enactor point of view, the majority of the terms related to ships, sailor slang and things nautical. It's a handy book to have. The next time somebody says they're not a Patrick O'Brian fan instead of calling them stupid you can say something more appropriate like "Any cove what don't like O'Brain must be a coney what got choused out of a brain!"